Why settle for a remote when you can have a wall switch to control your gas fireplace? 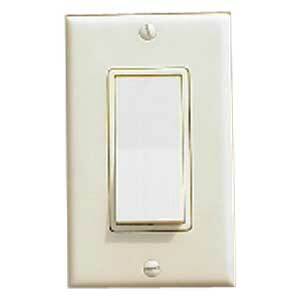 With the Real Fyre Basic On/Off Wall Switch, you'll get everything you could want. This basic wall switch kit is specifically designed for specific pilot kits and comes with the switch, cover, and wiring needed. Switching to a wall switch has never been more comfortable with this kit from Real Fyre. Can any switch be used with a fireplace starter, or is this switch required? Also, is there special wiring to this switch? It is possible to use a basic wall switch and any jacketed 18AWG wiring to complete the circuit to your fireplace. 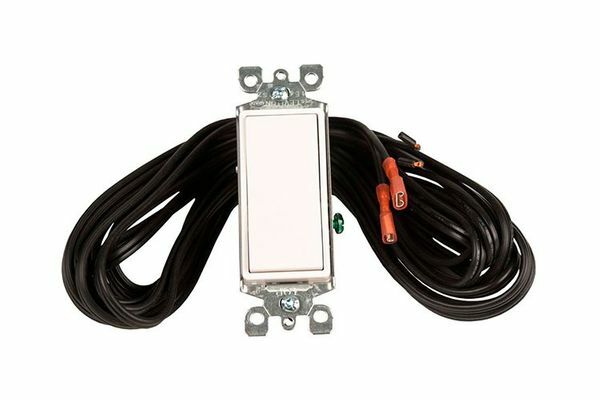 This kit simply contains a decor type rocker switch, a cover, and 15 feet of 18AWG connecting wire.